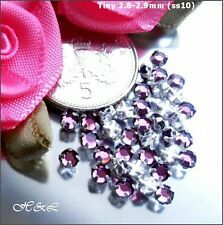 50 Grams Seed Beads 2mm Size 11/0. AB Dark Purple/Black. Keep your jewellery, findings and beads tarnish free by removing when washing your hands, showering, swimming, exercising and before going to bed. Size: ss10 (10ss. no.10)small 2.9mm. Colour: Alexandrite pale lilac in sterling silver plated prong setting. Getting rarer now. No exceptions. 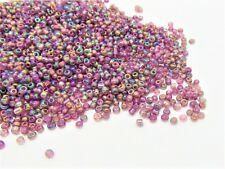 75grams of 2mm PLUM PURPLE GLASS SEED BEADS. FOR OTHER COLOURS AND TYPES OF BEADS. GREAT FOR JEWELLERY MAKING. 1200 x 2mm no hole acrylic beads in purple (colour 4). We are honoured that Diamante Crafts gems where chosen for use in the official souvenirs for the Queens Diamond Jubilee. can be used to re-fill the pods for use with the bead dispensing pen. Getting rarer now. Size: ss10 (10ss. No exceptions. ). 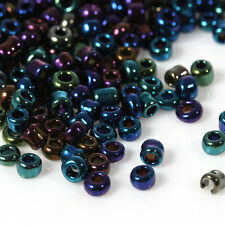 50g Purple Silver-Lined - glass 2mm hex beads (2-cut). Colour : Purple (plum colour). You will receive the beads in a grip seal bag, which can be resealed and reused. Length : approx 2 to 3mm. Hole size : approx 1mm. 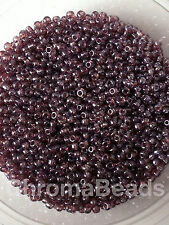 Transparent Deep Plum Seed Beads (2mm). Get crafty with our range of Seed Beads at Seasons Wholesale! Size; 2mm (11/0). Finish; Transparent. Use these stunning Japanese beads from Miyuki to create exquisite multi-stranded necklaces and bracelets. Miyuki code 11-265D. Seed beads sold in a 24g tube. 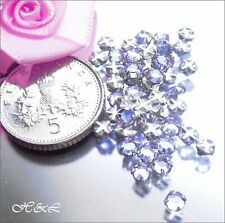 Size 11/0 (2mm) seed beads. 2640 seed beads. 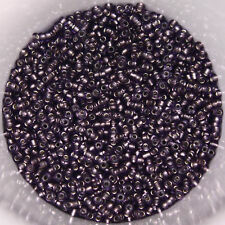 50grams 2mm DARK PURPLEY GLASS SEED BEAD MIX & DARK MULTI FINISH AB COATED. GREAT MIX LOVELY COLOURS. FOR OTHER COLOURS AND TYPES OF BEADS. LOADS FOR ANY SEWING OR CRAFT PROJECT.